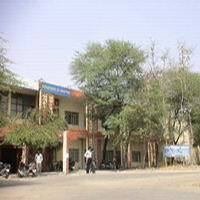 The Department of Biosciences, Barkatullah University, Bhopal is one of the few departments in the country and stands out today as a unique institution where multidisciplinary and interdisciplinary teaching and research in life sciences have established permanent roots. It was established in 1975 and is one of the oldest departments of this University. The integrated approach to biological research and teaching in the last two decades has kept the department of Bioscience a forerunner among University Departments of the country. The uniqueness of the department essentially lies in the fact that within the department's faculty there are experts and active researchers representing areas of modern biology. Since its inception this department has strived and achieved academic excellence in teaching and research. The department believes that postgraduate teaching, in order to be effective, must be done by teachers who are also actively involved in research in their respective areas of specialization. The department has developed a teaching programme that stresses on the uniformity principals of cellular and molecular mechanisms in all living systems. The exhilarating pace of discovery in the Biosciences and the complex problems ahead, demand new approaches that cut across traditional disciplines. The interactive and stimulating environment of Bioscience department in Barkatullah University, fosters thinking "outside the box" where basic and advanced approaches merge with the tools of biochemistry and molecular biology to investigate the fundamental processes of life. Biosciences is one of the most dynamic and fast-moving of the modern sciences, embracing topics from various disciplines such as Microbiology, Biochemistry, Cytology, Genetics, Physiology (Plant and Animal), Developmental biology, Ecology, Biostatistics, Biogeography forms the core subjects taught in the first year in two semesters, with the specialization in Biotechnology in the second year in two semesters thus making this course one of the most comprehensive one for studies of biological sciences at the postgraduate level. The students also do a dissertation in leading national laboratories/Institutes for three months in the IV- semester. In addition, the research degrees of M.Phil. and Ph.D. in Bioscience form an advanced facet of the department. The modern biology researchers in the department have attracted funds from various agencies to teachers and this has helped to build the infra structural facilities to undertake reseals in modem areas. The research publications coming out of the department have gained international standards and are cited in journals and books of prestigious press/publishers. The Department since its inception has been imparting high quality teaching and research in diverse and integrated fields of biological sciences which is reflected in the fact that the students of this department have been securing places in all sorts of state and national level entrance tests viz. NET, GATE, SLET etc and placements in industry, teaching and research institutes easily because of the interdisciplinary and holistic nature of the courses taught. Eligibility B.Sc. Bio group with 50% marks in theory papers. Physiology, Plant Physiology, Ecology, Endocrinology, Algal Biotechnology, Reproductive biology, Toxicology, Inland Fisheries.